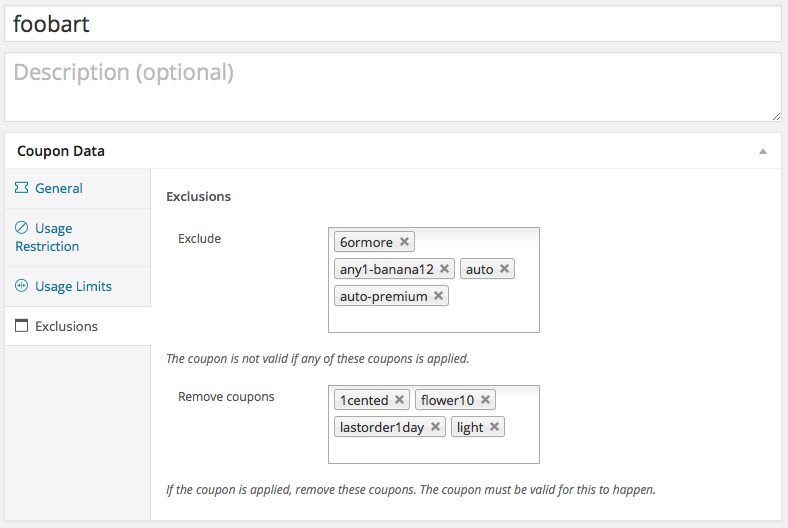 WooCommerce Coupon Exclusions is a powerful and easy to use extension for WooCommerce. 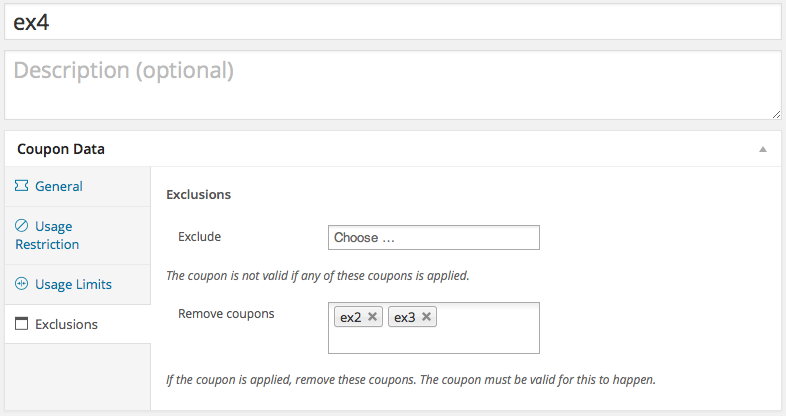 The extension allows to restrict the validity of a coupon based on other coupons applied. It also allows to remove specific coupons when a coupon is applied. Coupon ex1 grants a 10% discount on any items in the cart. Coupon ex2 grants a 20% discount on any product in the Soap category. Coupon ex3 grants a 30% discount on any product in the Shampoo category. Coupon ex4 offers a 40% discount on any product in the Outlet category. Coupon ex5 offers a 50% discount on a specific product, for example Huge Green Towel. 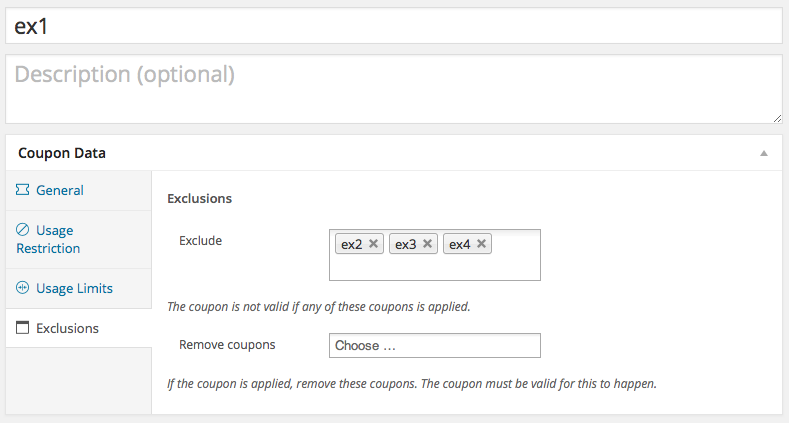 We don’t want customers to be able to apply coupon ex1 with ex2, ex3 or ex4, i.e. customers can have a 10% discount on anything in the cart and get the towel at a huge discount, but they shouldn’t be able to use discounts on product categories along with the 10% cart discount. Also, if a customer has applied to coupon for our Outlet category, coupons for Soap or Shampoo should be removed. Coupon ex1 excludes ex2, ex3 and ex4. Coupon ex4 removes ex2 and ex3. Exclusion settings can also be combined, i.e. the validity of the coupon can be made dependent on the application of other coupons and it can be used to remove other coupons.